The Selma Mirror's simple shape is fashioned from a round resin frame. It is denoted by a dramatic ribbed design. It is then finished in a beautiful bright silver creating a sleek, Contemporary look. 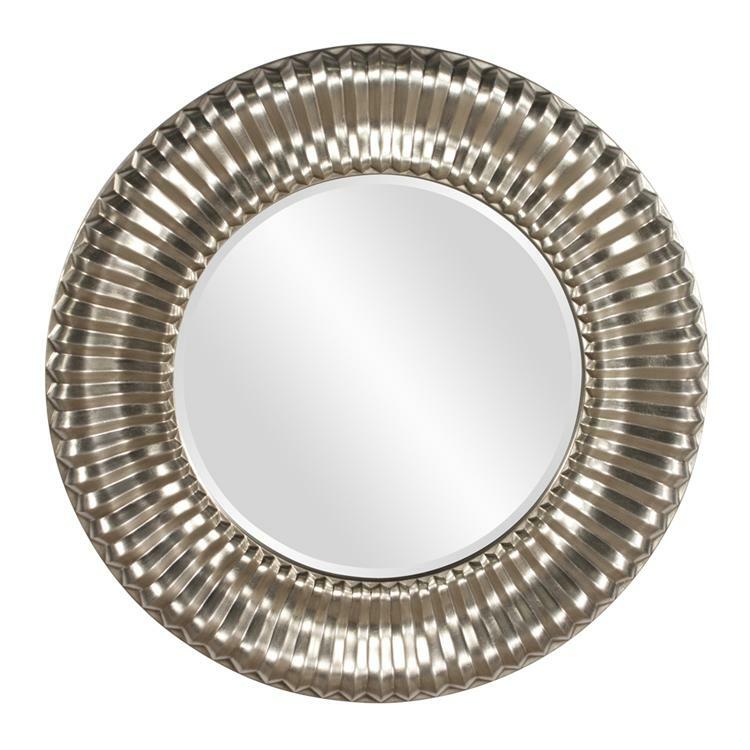 The Selma Mirror is a perfect focal point for any design. The glass on the piece is beveled adding to its style and beauty. Customizable for larger orders.